Got Varicose Veins? One Natural Supplement Can Help! Home > Health News > Got Varicose Veins? One Natural Supplement Can Help! If you suffer from varicose veins, you know how painful they can be, not to mention unattractive. Did you know that many indigenous cultures have used herbs and other plants to practice therapeutic remedies that can address this problem and many others? 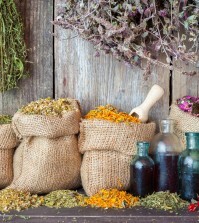 Before big medicine and pharmaceuticals, indigenous people, the local family doctor, priests and shamans have used what Mother Nature provided in order to alleviate the painful or annoying symptoms of some mild health conditions, such as colds, or to cure other problems, such as infections. Technically, there is no cure for varicose veins other than surgery. However, you might be interested to know that there is one tree that has been used for a substantial amount of time to help with poor circulation and other vascular problems, such as varicose veins, commonly called horse chestnut (aesculus hippocastanum). Horse chestnut is native to the Balkan Peninsula, but is found in abundance throughout the Northern Hemisphere. Almost every part of this tree, including the bark, leaves, seeds, and flowers, has been used for centuries to relieve a wide variety of health problems. The seeds of this tree have been used in European Phytotherapy to address vascular problems. An old Turkish folk remedy to help improve circulation, relieve kidney stones, shrink hemorrhoids and calm upset stomach is to make a tea from horse chestnut. Today, most people use this tree to help with chronic vascular problems, especially with chronic venous insufficiency, or CVI. This is a condition in which the veins do not return the blood from the legs back to the heart. The active ingredient in horse chestnut is aescin. Chinese research suggests that this compound is resistant to systemic redness. This means aescin resists swelling and redness in the body without being immunosuppressive. Horse chestnut has also shown impressive antioxidant activity. In fact, Middlesex University in England published information showing that the extract from this tree might just be the most effective free radical-fighter anywhere on the planet. Aescin is also a saponin, a word that might have you thinking of soap. 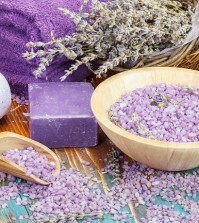 While it’s true that saponins are a component in soap, they provide a way for the body to strengthen its capillaries. This is extremely helpful for those who suffer from the swelling that occurs when capillaries are too weak to hold onto fluid and leak it into the body.